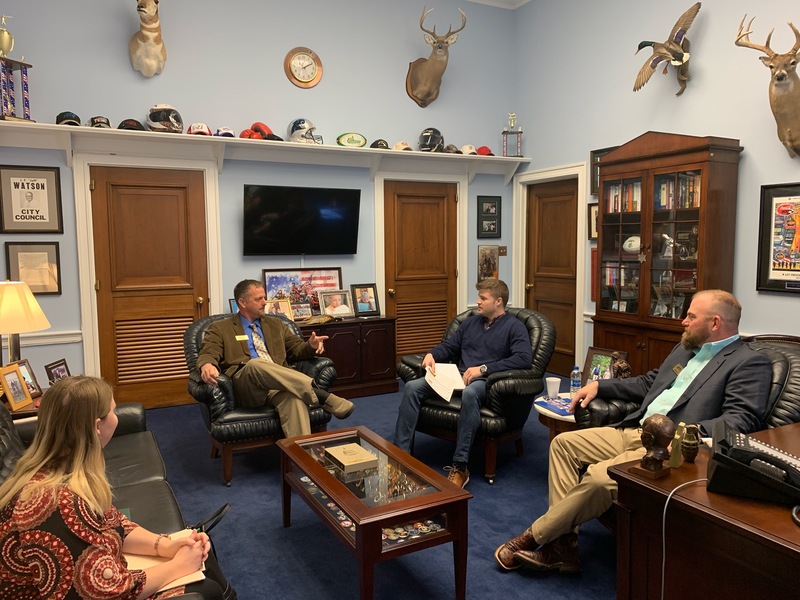 Growers from N.C. took on Capitol Hill again last week to advocate for farmers and key agricultural issues in the state. Six board members made the trip to the nation’s Capital including Jimmy Thomas, Jeff Tyson, Greg Manning, Chris Naylor, and Michael McPherson. Angela Berben had been a participant in the American Soybean Association’s Leadership At Its Best program that week and was able to join the group for the visits. The group made visits to the offices of Representative G.K. Butterfield, Rep. George Holding, Rep. Richard Hudson, Rep. Ted Budd, Rep. David Price, Rep. Mark Walker, Rep. Virginia Foxx, Rep. Alma Adams, Rep. Patrick McHenry, and Rep. David Rouzer. A conference call was also held the previous week with Senator Richard Burr’s staff. While visiting the congressional offices, the group discussed hot topics for N.C. agriculture. Trade and passage of USMCA were at the forefront of many of our grower’s minds, along with infrastructure, research funding, and the ongoing federal nuisance court cases. The group thanked the Representatives for working towards a federal disaster bill; the state and the ag industry are still in need of assistance after being hit by two hurricanes last fall. The group also discussed the passage of the Farm Bill and the need for the implementation its of programs. Visits to Washington D.C. and other advocacy efforts made by the association are possible through your membership in the NC Soy Alliance! 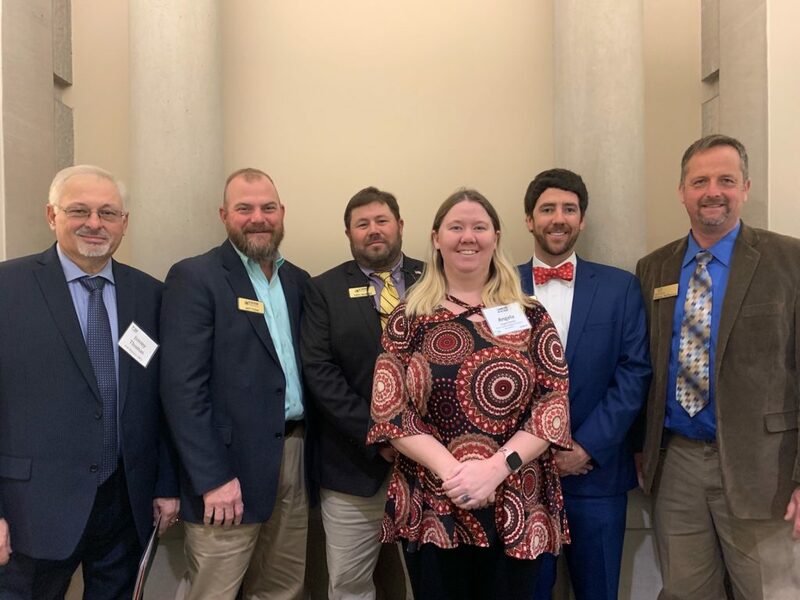 Membership dues go towards policy and advocacy efforts in the interest of N.C. farmers and the agricultural community. Not a member of the NC Soy Alliance? Then sign up online at www.ncsoy.org/soy-alliance to help soybean growers in N.C. continue to represent you.